Pay-per-click is a great supplement to search engine optimization and is one of the best ways to get relevant search engine traffic while you are waiting for other marketing methods to pay off. However, if you are getting your PPC ads in front of people and they are still not clicking on them, it may be because your titles and ad copy is just not compelling enough. Just sticking in whatever copy you want or is short enough to fit, does not cut it. The limited character space may feel like a limitation on your creativity, but in reality, there are plenty of ways that you can adjust your copy to make it more valuable and to get more clicks. Here are six tips to help you improve your ads so more people are willing to click on them. 1. Make sure your ads illuminate your benefits, instead of just stating features. The features vs. benefits debate is still raging on in the marketing world, with some people believing that stating the numerous and unique features of your website, product, or service is the best way to attract attention, with other people of the opinion that stating clear benefits is much better than itemizing your every feature. 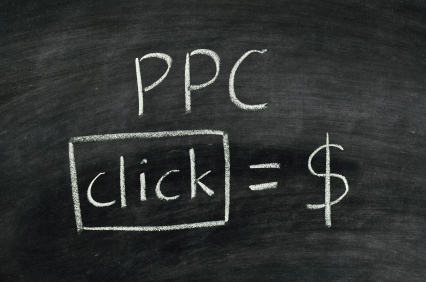 The truth is, when it comes to PPC advertisements, benefits are going to trump features. People want to know why they should click on your ad. You can tell them why by showing them how your service, product, etc. can improve their lives. Your benefits should be clear, specific, and truthful. While a lie might improve click-through rates, it definitely won’t improve conversion rates, which should be your ultimate, if not primary goal. Be clear and be honest. 2. Use your copy to allay concerns. The truth is, spending money in general causes most people concern, especially when they are considering buying something they have never purchased before or buying something from a company they have never purchased from before. The best thing you can do is use your ad copy to allay any of those natural purchasing roadblocks. Content like, “Money Back Guarantee,” or “No Risk Free Trial,” or “Certified (product) Vendor” (again, as long as these things are true), will not only draw more attention to your website, it will actually also help that consumer down your conversion funnel. Once they feel more comfortable with your business, they will have fewer roadblocks between them and making a purchase or enlisting your service. 3. Make sure that your title grabs a searcher’s attention. If you have boring, incoherent, or simply unimaginative titles, you can be sure that no one is going to read the rest of your ad copy. 4. Don’t use your keyword as your title. It’s boring and it’s lazy and doesn’t work. If your keyword is “shoe store Philadelphia,” and you put “Shoe Store Philadelphia” as your title, not only does that title make no sense, searchers will see that you obviously just shoved the keyword into the title space. It doesn’t say anything unique about who you are or what you offer. 5. Don’t forget to edit. This ad is about to be out in front of the entire world. Despite the fact that everyone mistypes something occasionally, consumers will view the website connected to that ad as low quality because of a typo or two. 6. Don’t lie about what you are or what you can offer. Don’t make promises in your ad that you are not prepared to deliver. Google frowns on this, and even one report of promising something you can’t deliver could get your ad booted from the lineup. 7. Don’t forget to test. If you aren’t heavily A/B testing your content and titles, then there is no way for you to know whether or not you are actually using the most effective keywords or copy. Don’t make the mistake of assuming that just because your ad is showing up and getting impressions that you have the very best possible content. Test everything, making multiple variations and eliminating the versions that underperform. Never rest on your laurels when it comes to PPC—you should always be testing new titles, keywords, and copy. 8. Write with the consumer in mind. If your reader (the consumer and your potential customer or client) is not your first priority when writing content, then you are not writing content that fulfills his/her needs. Write copy that your target audience will respond to and use a tone and level of writing that they understand. While you might love a certain line or the way a title sounds, if it doesn’t make sense to your customer, then they are not going to click on it and will never have the chance to convert. 9. Look at your product or service. If you have changed your copy and your title and are still not getting the conversions you want to see, it’s time to look at your website and what you offer, in order to determine whether or not you are actually offering something that your target customer wants to purchase. Start testing multiple offers, just like you tested multiple versions of your ad copy, and you will see what your customer actually wants to buy and how you can offer it to them in a way that makes them want to buy it from you.